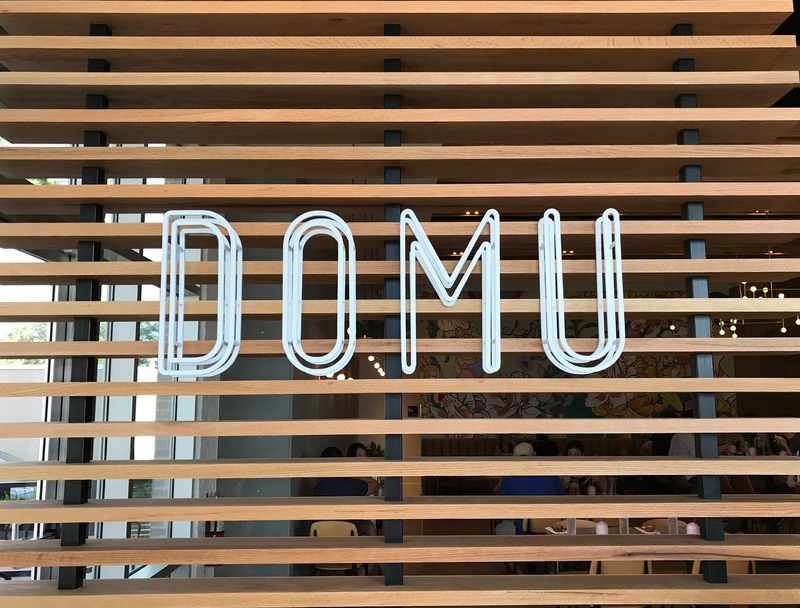 Domu recently opened in the St Johns Town Center. 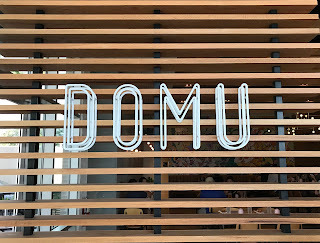 I have been lightly stalking them ever since this location was announced, so when I saw that they were taking reservations for the soft opening, I pounced. We arrived on a Friday night and were seated at the kitchen bar. I typically would have preferred a table but I will never pass up the opportunity to sit and watch the kitchen work. It’s one thing to enjoy the food, it’s a whole different experience to see the skill and hard work that goes into making it. We started looking over the menu and ordered drinks. 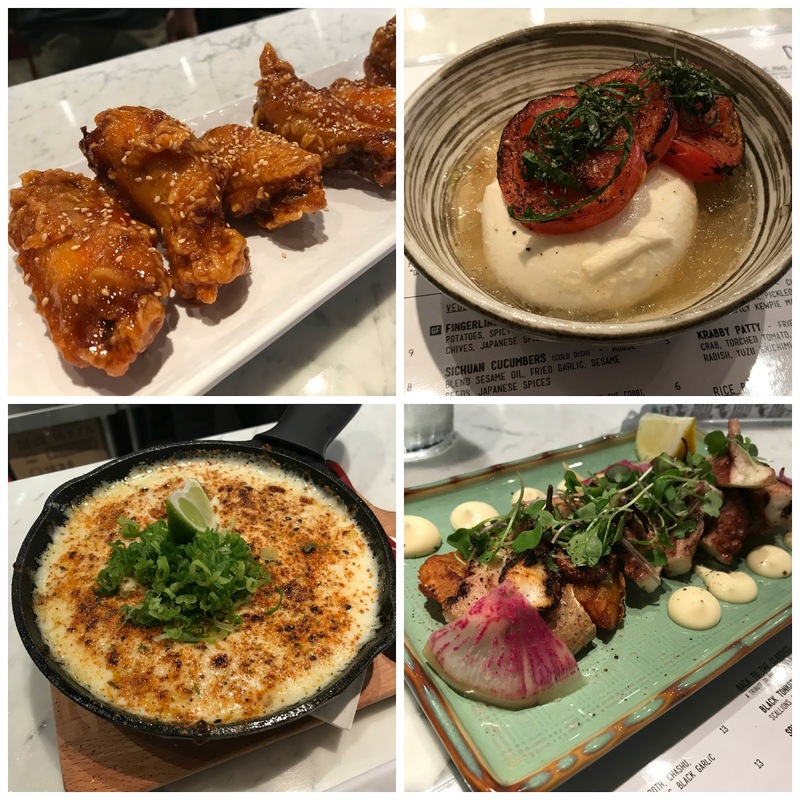 I was surprised to see that they were serving their full menu for the soft opening, so we put in an order for a few different appetizers while we decided on our ramen. All of the appetizers were winners but I think the star was the Domu Wings. Let me start by saying that I am not a wing fan. It takes too much effort for not much of a reward. With that being said, I LOVED these. That kimchee butter sauce is one of the best wing sauces I have ever tasted, and the crispiness of the wings was on point. A close second was the Black Truffle Burrata. If you are a truffle fan, you will love this. The mozzarella ball was great on its own, but the addition of the black truffles took it about 10 levels higher. Also, the yuzu gelee was a great compliment to the cheese. I was skeptical at first, but the sweetness of the fruit and the texture of the gelee was a perfect combo. We put in our ramen order after a long decision process. They all looked so good. 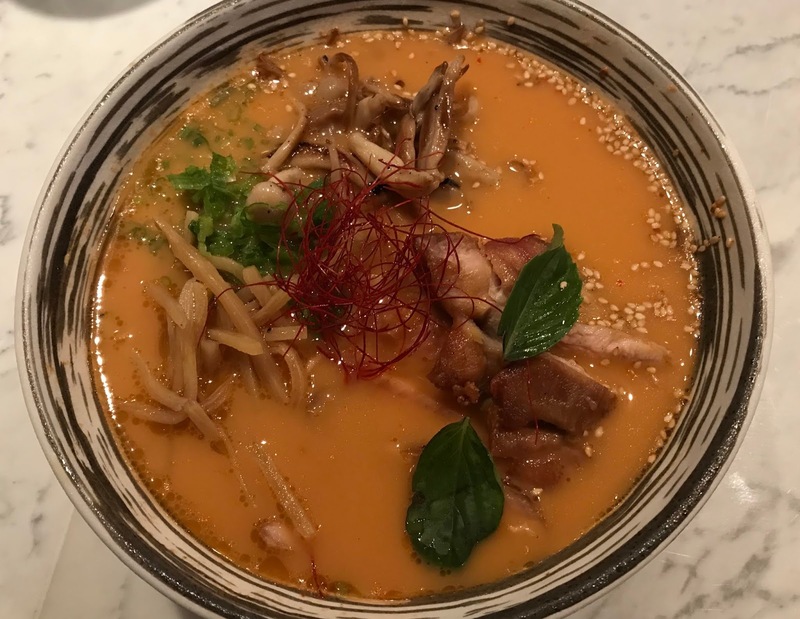 I settled on the Tokyo (Shoyu chicken broth with fried chicken thigh, ajitama brulee, kikurage, seared garlic chives, infused duck fat, garlic scallion confit $13.) This ramen knocked my socks off! The depth of flavor in the broth alone was enough to get me excited. It was so rich and meaty. Another thing I loved were the house made noodles. They were thin and chewy like a great ramen noodle should be. Now let’s talk about that chicken thigh. A typical ramen has pork or pork belly as the protein. Initially I was a little unsure about how well the chicken would work in a ramen. Allow me to put your mind at ease because this chicken thigh is where.it’s.at.y’all. So juicy and tender, this chicken was far from the dried-out strips I had envisioned. All of the ingredients meshed so well together, I could not get enough. I sipped that broth until there was none left and I am not ashamed to admit it. My husband wanted something spicy so he went with the Curry (Chicken broth, fried chicken thigh, Japanese beech mushrooms, menma, Thai basil, scallions, Thai chili paste $13.) The choices are mild, medium, or hot. He originally chose medium but changed it to mild due to the waitress’ suggestion, and boy was she right. The mild is fire. If you are sensitive to heat, this is not your ramen. For me, a lot of the flavor got lost in the heat but my husband enjoyed it. He tends to eat spicier things than me so if you are into spice, give it a go. We were visiting the restaurant on the second day they were open and they already shined this bright. I cannot wait to see what it’s like once they settle into a groove. The owner was there in the kitchen cooking alongside our new Jax chefs. By sitting at the kitchen bar we were able to really see everything that goes into making a dish including everyone grabbing a disposable spoon and having a quality check of the finished product.